Flowerssori follows the child wherever he is: at school, at home, at the museum, or at the library… In few words, where is a baby, that is where is Flowerssori. Also when it’s time to go shopping! 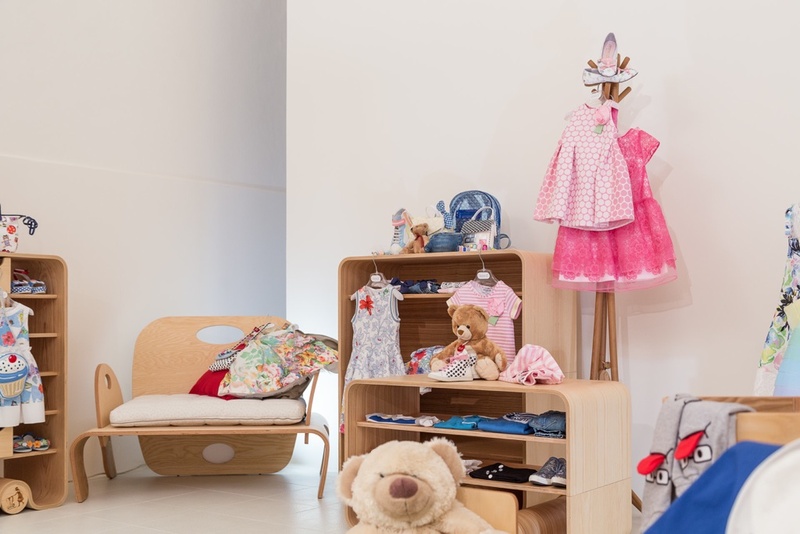 In fact, not only schools and homes, but also stores can be decorated with Flowerssori. 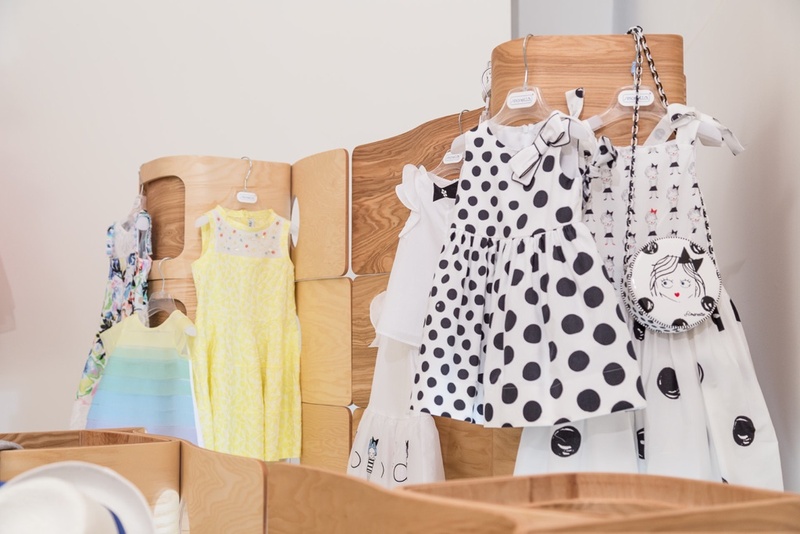 Libraries, for example, can be used to display the objects or small t-shirts and clothing in general, while the stacking system becomes a phenomenal booth behind which children can try the proposed fits (while parents discreetly check that everything is running smoothly). Finally, the small settee is an unusual relaxation area of great impact. 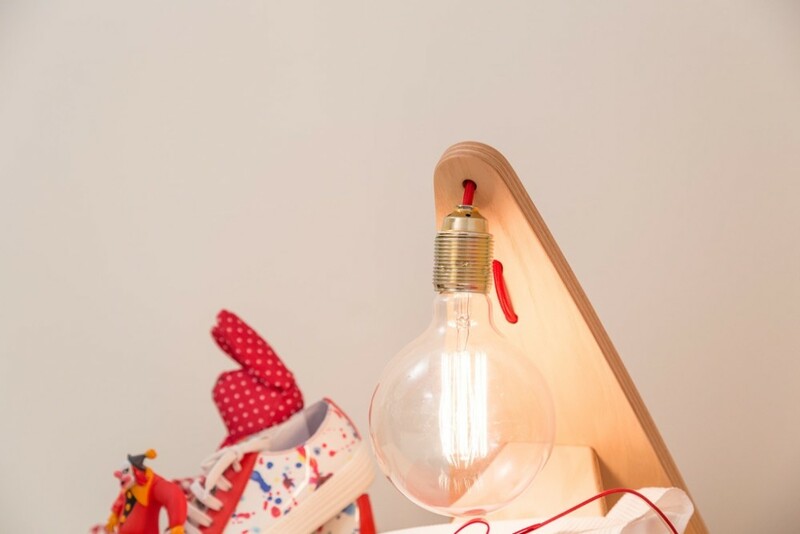 Comfort, beauty and design: a natural alchemy that ease the child to live a unique and funny experience and let the parent enjoying his task: to buy! 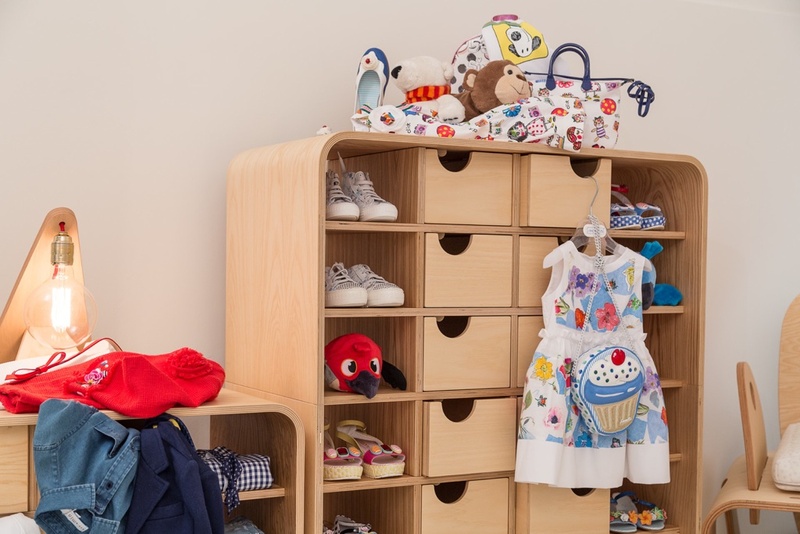 The free and autonomous child loves to choose his games and his clothes by himself. Independently by the adult, he likes to make his own decisions, open the wardrobe and wear the way he wants to be perceived by the others. A beautiful stage, one in which the child has the urge to exercise his freedom of choice. 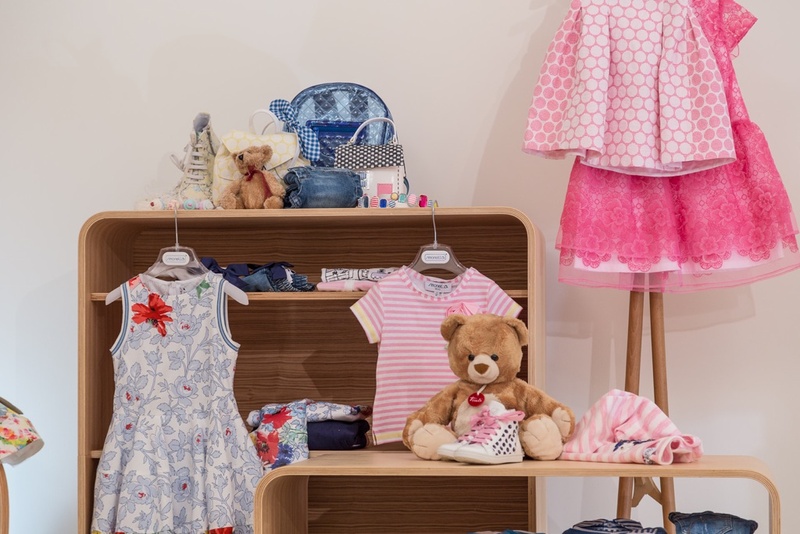 It is therefore important that the child finds simplicity and comfort in children’s stores. Since he makes his own decisions, he is the star of the moment and is the one who suggests his parent to put their eyes on the right things for him. 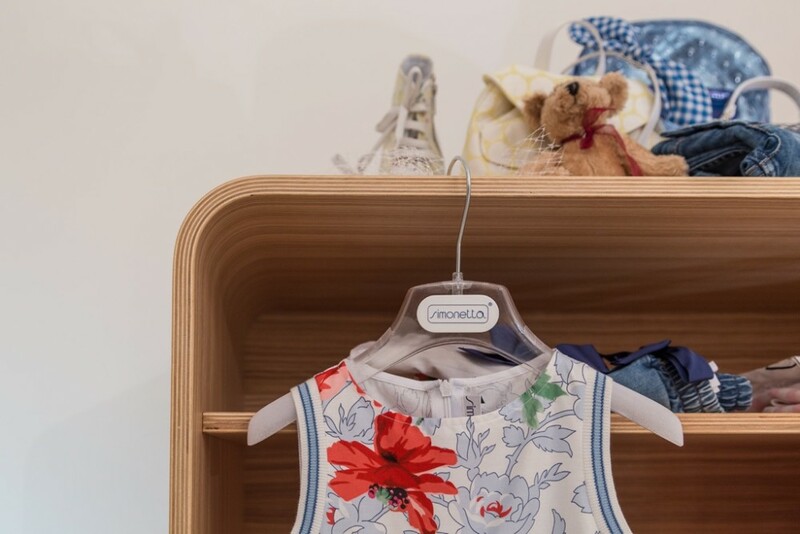 A year ago, we partnered with the company Simonetta, which produces wonderful children’s clothes. 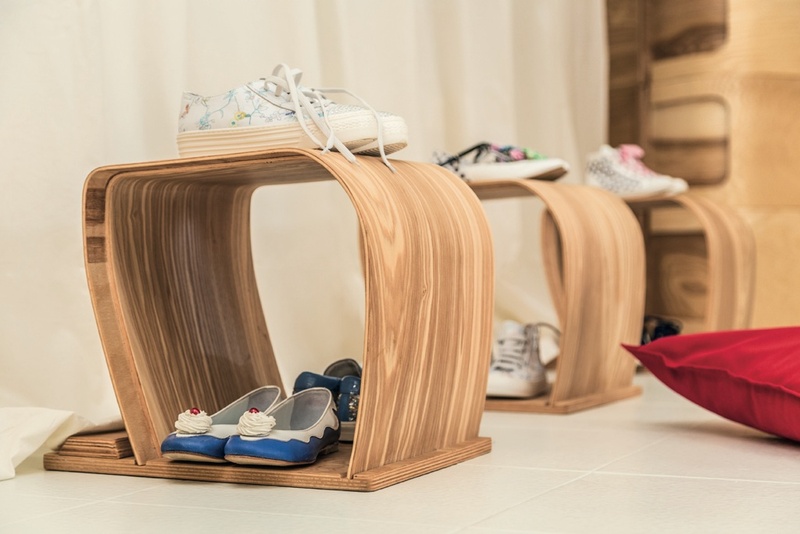 Sharing with them the love for beauty, quality, made ​​in Italy and the common Montessori-Marche roots, we decided to show together how the “Beautiful” should always join the “Functional” and can coexist very well with it. 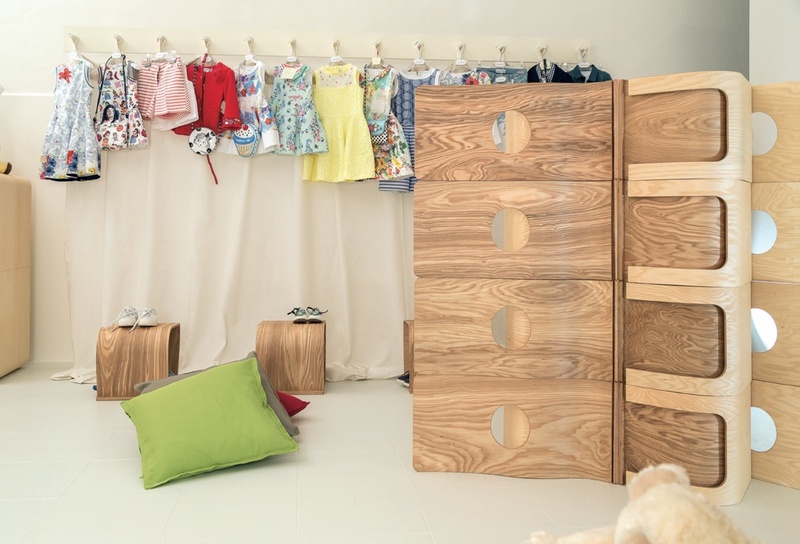 Thus it was born the project of the CATALOGO Flowerssori 2015, in which children dress Simonetta. Colors, simplicity, attention to detail: the fundamental aspects of our common work that led to the shooting of changing situations but always in an atmosphere of joy and serenity. The beauty has an influence not only on our perceptions of things but also on our approach to the others: a fact!